Where there is love, the simplest of food and the plainest table upon which it is spread become fine. 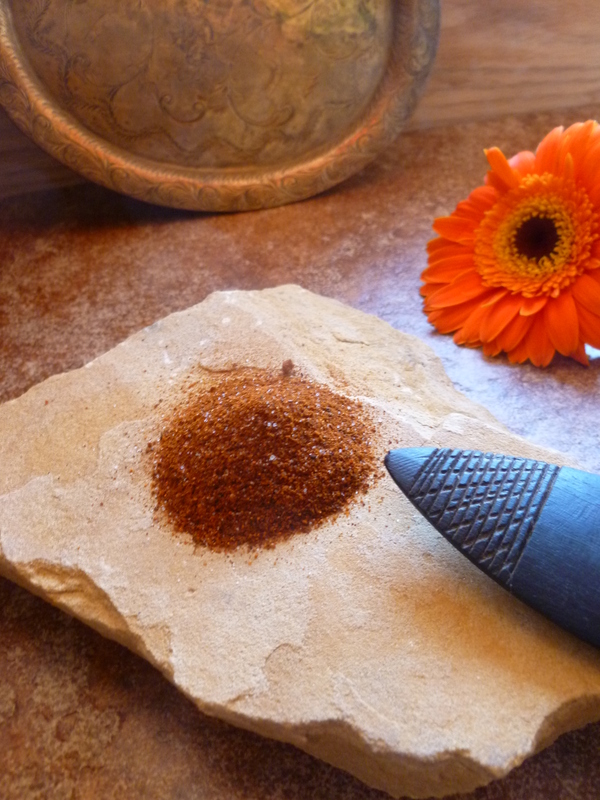 Postscript: Pico de Gallo Powder is a traditional Mexican spice blend often sprinkled on fruit or a fruit salad. Fruit and Pico de Gallo is an hors d’oeuvre suited to a dinner at home…under a roof or under the stars. 1. 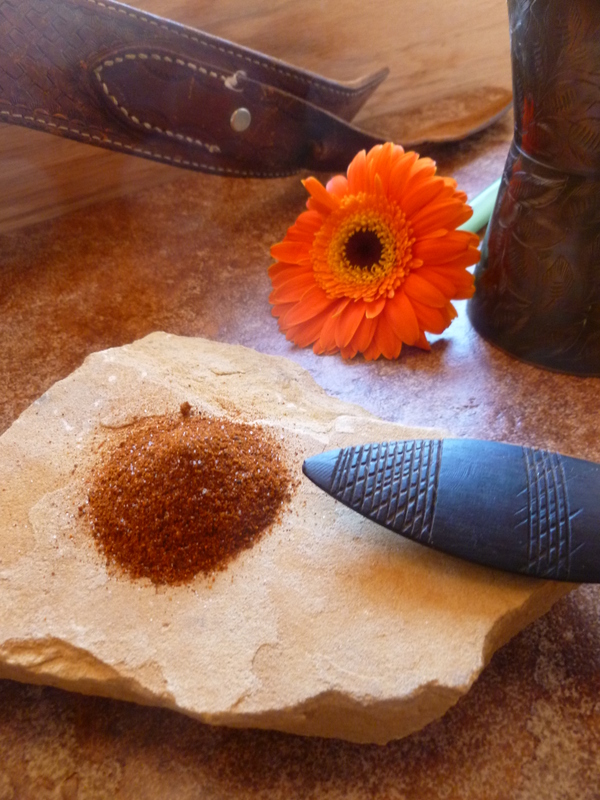 Make the Pico de Gallo Powder: Place the paprika, cayenne, black pepper, salt and ground red chile in the glass jar. Screw on the lid and shake well. 2. 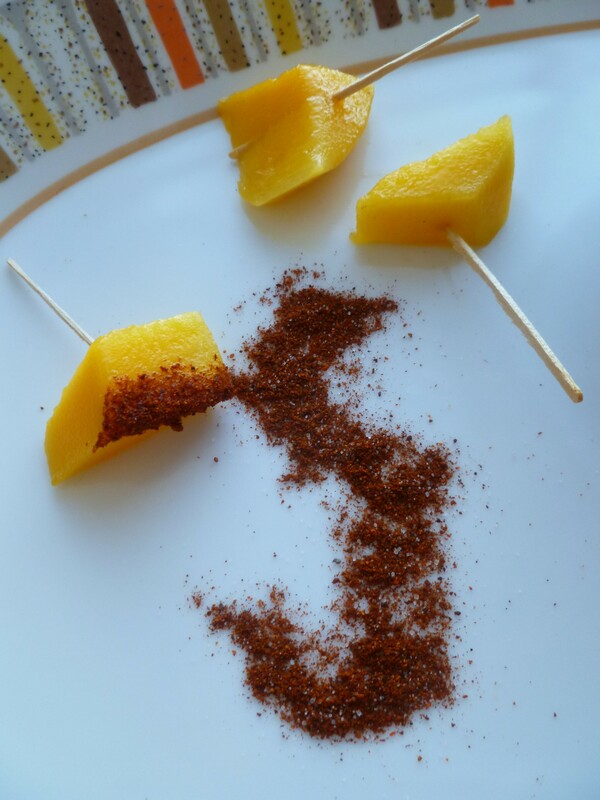 Just before serving, arrange the cubes of mango, toothpicks and a small dish of the powder on a serving dish or platter. 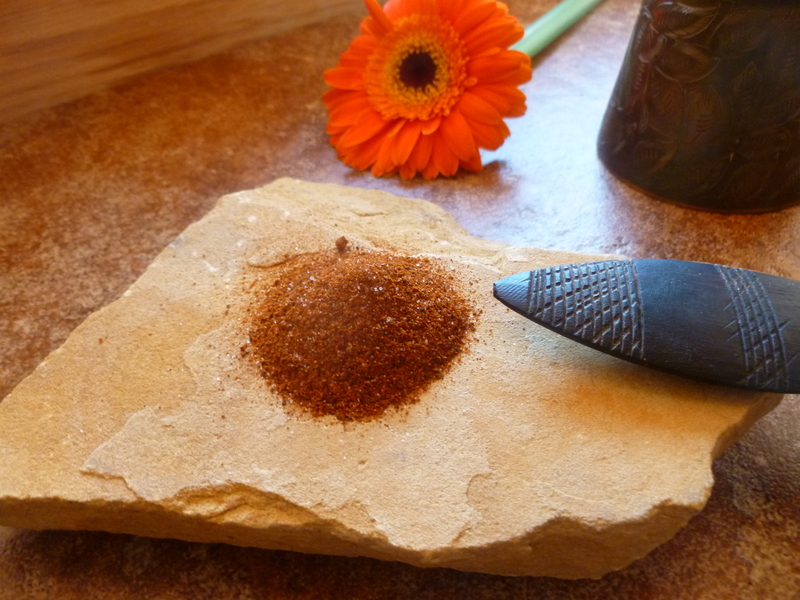 Guests spear cubes of mango and dip them in the powder…or enjoy the mango sans Pico de Gallo Powder if they prefer. 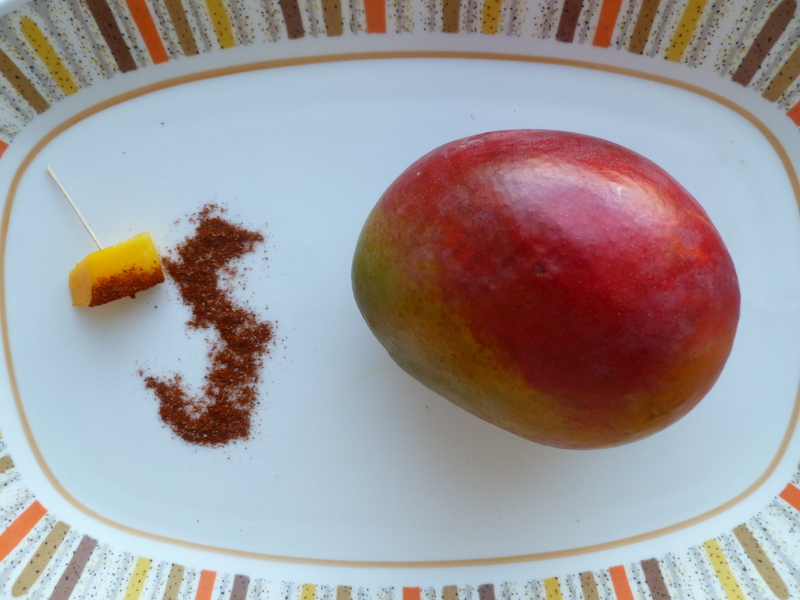 A Note: Fresh Mango Cubes and Pico de Gallo Powder is an hors d’oeuvre in the dinner: A July 4th Dinner under the Desert Sky. It is also a very nice to take along on a picnic. This reminded me of one of my favorite snacks growing up on Guam – Green Mangos with Chile Salt – salt mixed with tabasco sauce! Thanks Elizabeth for this updated version of that treat. What a neat comment :-)…I am pretty sure I can come by some green mangoes…anything else I need to know or is it as simple as that?